Stay away from controversial admissions essay topics. This advice is often repeated by college counselors. Taking a more daring route, it's thought, increases the likelihood that your oversharing may work against you. Of course, the opposite risk of boring an admissions officer to death is its own gamble, too. While most ultimately end up heeding the call of prudence, some choose the more adventuresome path, finding that having a little edge often pays off. Take a look at this list of 10 "risky" essay topics written by students who were accepted to elite and Ivy League schools. Here's to taking a risk. 1. Son, I’m in Jail. I Stabbed Your Mother. This list of essay topics was provided by The Essay Exchange. 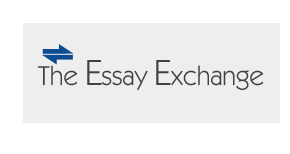 The Essay Exchange is a socially responsible company that seeks to level the college admissions playing field by creating an online forum for top-tier college application essays with a robust anti-plagiarism component built in. It's like an online, searchable and convenient version of books like "50 Successful Harvard Application Essays" that are available in Borders and Barnes and Noble.